This week's 95.9 WATD Goldie Bounce Golf "PGA One on One" featuring 2011 Kodak Challenge Leader PGA Tour Pro Bill Lunde ~ calling in from Annandale Golf Club site of this week's Viking Classic! 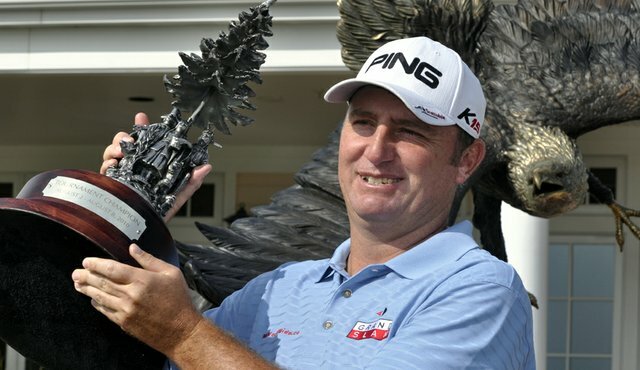 Bill's had two top ten finishes this season (T12th at Hyundai and T13th at The Hope) and has one PGA Tour win ~ the 2010 Turning Stone Resort Championship! Lunde has played 16 Kodak Challenge holes thus far leading with a score of -13 heading into this week's event ~ btw this week's Kodak Challenge hole is the par 5 Hole #18 ~ 532 yards. Best of luck Bill! Click on the Podcast Player to listen to Bill's 95.9 WATD Interview!